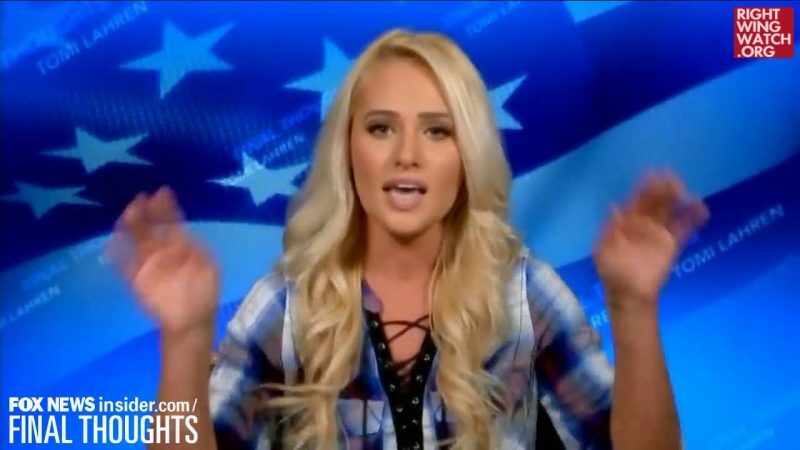 Fox News commentator Tomi Lahren shared a hoax on Twitter this afternoon suggesting that Sen. Elizabeth Warren has a racist decoration in her kitchen. 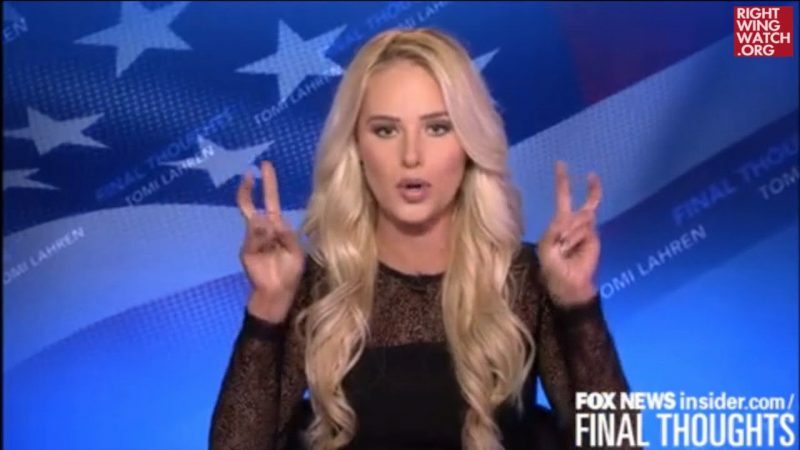 The image Lahren tweeted first circulated among conspiracy theorists and Trump supporters online, who shared the image on Reddit, Twitter, 4Chan and Facebook over the past few days, where Trump supporters have been obsessively picking apart a video that Warren shared on New Year’s Eve announcing she had launched an exploratory committee in anticipation of running for president in 2020. 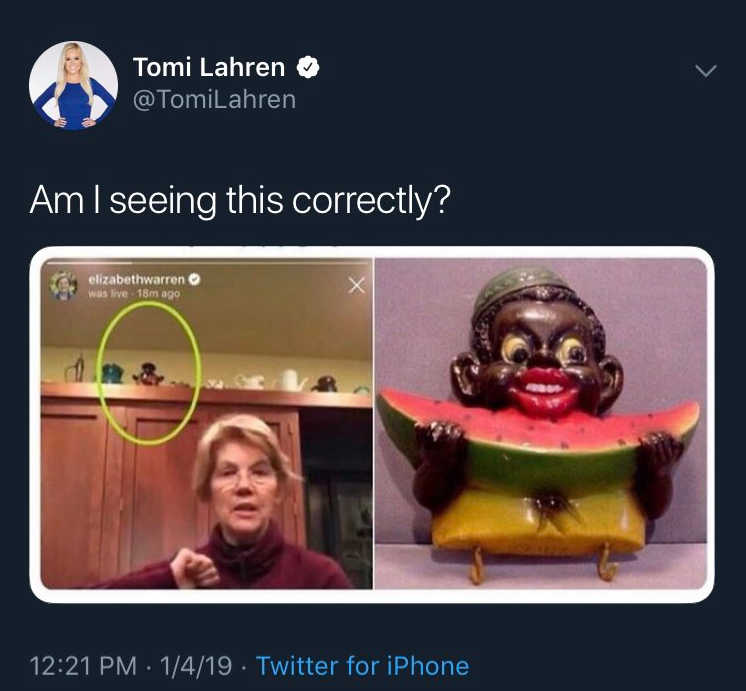 Needless to say, a few seconds of inspection reveals that the shape of Warren’s kitchen decoration does not match the image of the racist caricature included in the side-by-side image. Lahren shared the image this afternoon but deleted her tweet less than three minutes after sharing it.